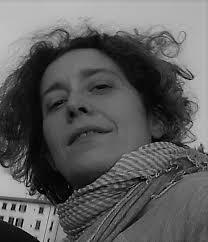 Chiara works in social work in Florence for nearly twenty years with the cooperative Il Cenacolo. Suburbs, mediation and social inclusion the keywords of her daily work. She started as a social worker with the street education projects (animation of communities, prevention of youth problems and harm reduction) in the areas most at risk in the city. Coordinated experimental projects within the programmes of restorative justice with defendants and convicted minors, aimed at mediation with communities. She has also coordinated social and cultural mediation projects in contexts of public housing in the suburbs of Florence. In the last period followed the launching and consolidation of facilities for adult asylum seekers and unaccompanied minors run by the cooperative. The meeting with TSH and Favela Painting comes from a fortuitous coincidence that concerned a problem of neighborliness between properties. A problem has become an opportunity for knowledge and in no time a common will of cooperation. Chiara would like to develop with the Favela and TSH joint projects aimed at improving the living conditions of migrants and their integration in the territory. Our ambition is to relate the projects of welcoming migrants with opportunities for development for the whole territory and all its inhabitants, old and new.